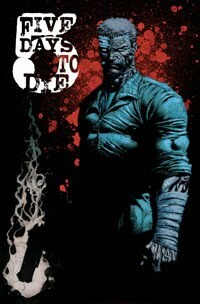 Comics Experience Blog: UPCOMING GUESTS: Andy Schmidt & Chee on "5 Days to Die"! Plus, Lucasfilms' Pablo Hidalgo! UPCOMING GUESTS: Andy Schmidt & Chee on "5 Days to Die"! 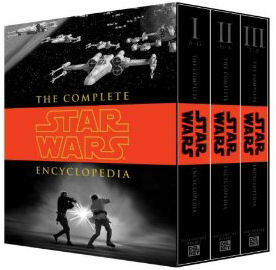 Plus, Lucasfilms' Pablo Hidalgo! On Tuesday, May 15, 2012 at 9pm Eastern Time, writer (and Comics Experience founder) Andy Schmidt and artist Chee will be joining us for an online Creators Workshop Book Club discussion of their creator-owned book 5 Days to Die published by IDW! 5 Days to Die follows Ray Crisara, a tough cop who has to make an impossible decision with just five days to live. Upon surviving a terrible car accident, Ray is left a widower and his daughter is in critical condition. Believing this was a planned hit by the city’s drug lord he’s been pursuing, he must decide to track the killer or stay with his little girl. With a brain injury that leaves Ray less than a week to live, how will he decide to spend his last days on Earth? Christos N. Gage said about the book, "this is the stuff crime noir fans love!" And New York Times best-selling author David Morrell called the book "hard-hitting, suspenseful, and innovative." A trailer for the book can be viewed right here. Make sure to join us for this Book Club session with Andy and Chee that our members have been requesting for a long time! 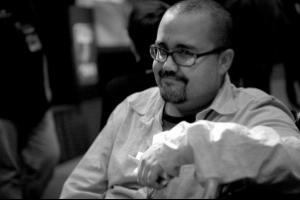 Then, just one week later on Tuesday, May 22, 2012, our next live, online Creators Workshop special guest will be Lucasfilms' Pablo Hidalgo! Join us at the Creators Workshop to take part in these great discussions!